Yayorin stands for Yayasan Orangutan Indonesia. You might think that their first priority would be preserving orangutans, but actually, it's preserving the forests. It makes sense, though. Orangutans need forests to survive. Thus, by preserving the forests, it is hoped that orangutans would survive in the wilderness. Its motto, "People need forest, forest needs orangutans". One of Yayorin's programs is educating people and young generation about the importance of saving the forests. Yayorin has a mobile library that regularly visits remote areas to encourage reading. 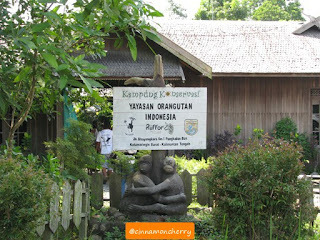 There's also a library in Kampung Konservasi (Conservation Village) and a hall with plenty of activities to choose from. In certain days, you can play with some kids in this area. I really love their adopt-a-tree program. By donating IDR 50,000, Yayorin will plant a tree for you. Moreover, you can choose what kind of tree you'd like. They'll email you the tree's photo, location. From time to time you'll be given updates on how big your tree has grown. Yes, they'll put a sign on that tree with your name on it. I think it's a unique and romantic gift for yourself and also for your loved ones. How else can you help? You can help by adopting a tree, becoming a volunteer (naturally, only if you live in close vicinity), donating used books, donating some cash or even by staying in Yayorin, in their cottage. 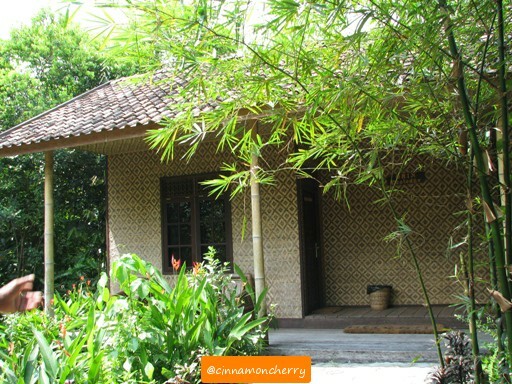 Yayorin has two rooms should you want to stay in Pangkalan Bun. They are building another cottage at this moment. It costs (June 2012) IDR 350,000 for one night in this place. You can join their activities and help around, should you wish to do so.